Antigen: Peptide corresponding to the C-terminus of human AIB1 conjugated to keyhole limpet hemocyanin (KLH). This antibody recognizes human AIB1, a 160 kD protein and member of the SRC-1 family of nuclear receptor coactivators. AIB1 is amplified in breast tumors and pancreatic cancer cell lines. AIB1 interacts with the estrogen receptor to enhance estrogen- dependent transcriptional gene activation. 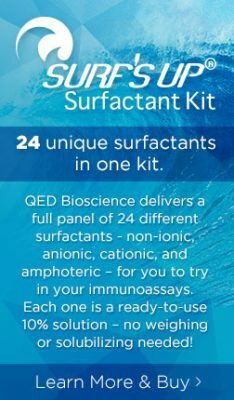 Immunoblotting: use at 1-5 ug/ml. This antibody is stable for at least one (1) year at -70°C. Avoid multiple freeze- thaw cycles. Anzick, SL et al. 1997. Science 277: 965-968; Bautista, S et al. 1998. Clin Cancer Res 4: 2925- 2929; Ghadimi, BM et al. 1999; Am J Pathol 154: 525-536.